Christmas is coming!! Yay! Often times as I start shopping for Christmas presents I get overwhelmed with all of the amazing options out there. Also, let’s be real. Women can be hard to shop for. Over the next couple of weeks I’ll be sharing a few gift guides for women on your list (or yourself because you deserve to treat yourself this holiday season too!). 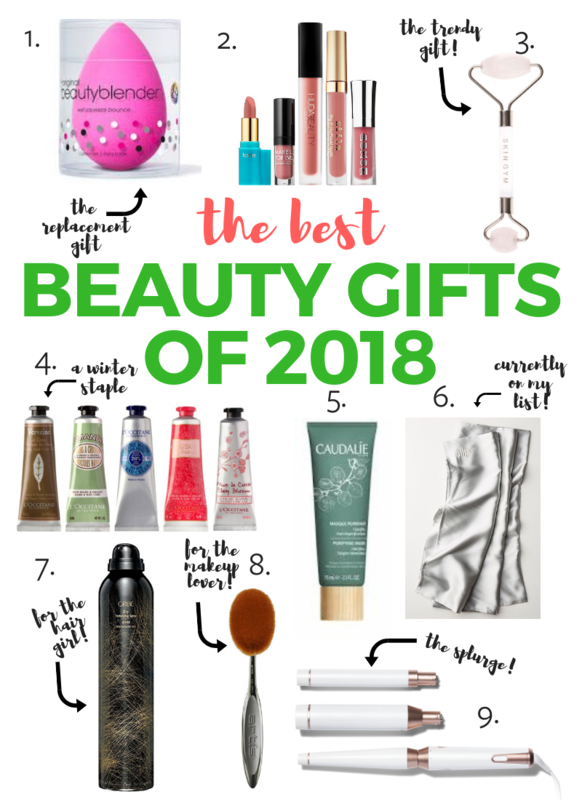 First up is the best beauty gifts of 2018. I feel like I tried a ton of different products this year. 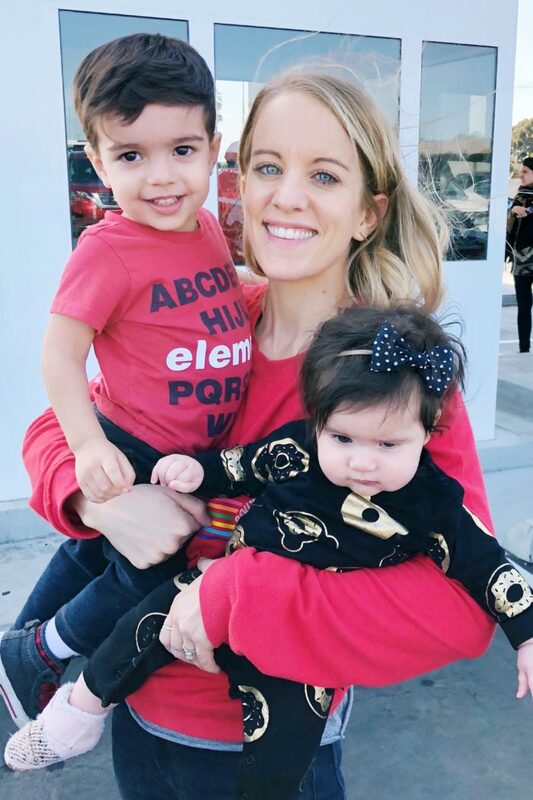 Between BirchBox, recommendations from friends and trial and error, I’ve come across a few amazing products that I love and will use for ever and ever (or at least for a couple years!). Many of these are on the list below! Great for makeup lovers – even the most minimalist of ones! I get this each season and I’m obsessed! Being able to try out a bunch of different lip colors and brands is really fun and I’ve fallen in love with a few brands and styles that I’ve gone to purchase full sizes of. This is great for ladies who always lose their lipgloss or love trying new stuff because they can put a different product in their car, purse, office, etc and never be without a lip color! 🙂 This would pair perfectly with the hand cream since they can put one lotion and one lipgloss together so they’ll always be happy. Jade rollers all the rage and I can almost guarantee you that the lady you’re shopping for has wanted to try one of these. I carry a ton of tension in my face so when I’m feeling stressed I roll it out with my jade roller and immediately feel more relaxed! This gift is great for oil lovers (putting a drop of an oil on this before rolling is amazing I’ve heard!) or anyone who is stressed out (haha!). Rishi got this for a couple years ago and I still have a couple tubes left! This is my absolute favorite hand cream and I also love that L’Occitane employs women in Africa to give them a fair wage and a way to support their family. This is ideal for women in cold weather locations or who always have dry hands. I have these tubes at my desk, in our diaper bag and in my purse so I always am within reach of good quality lotion! This mask is my guilty pleasure. It’s not a cakey, clay mask but it’s light texture feels so good. I love doing masks because they force me to sit and chill out for a bit. Bonus is this makes your face look and feel amazing afterwards! This mask is good for girls who are prone to breakouts (you don’t have to mention that to her ha!) or love trying new masks. This is on my wish list!! I have wanted a silk pillowcase for a long time now but haven’t yet got one. (Hint for Rishi haha!) There are so many benefits to silk pillowcases like less wrinkles, less hair breakage and overall feeling like a QUEEN. Perfect for anyone who sleeps (haha!). This is by far my favorite texturizing spray! I bought it for all of my girlfriends last year to get them obsessed as well. I’ve shared about it here if you want some additional tips! This is great for women who have fine hair or who love big, thick hair and fun hairstyles! This is a splurge but you (or whoever you’re shopping for) deserves to be splurged on, right? I splurged on this about a year ago and am SO glad I did. My hair looks so much better when I curl it and there’s so many things I can do with these 3 pieces. This is perfect for anyone who loves curling or styling their hair! Honestly I don’t think you can go wrong with any Artis brush but I personally own their foundation brush. I love using this brush and I feel like it allows me to use less foundation since it helps cover my face so well! It’s a splurge but that’s what Christmas is for! This brush (or any of their other brushes) are great for anyone who loves makeup and already has a collection of brushes on their vanity! I’m crossing my fingers that Rishi picks up that silk pillowcase for me. What are you hoping is under your tree this year? 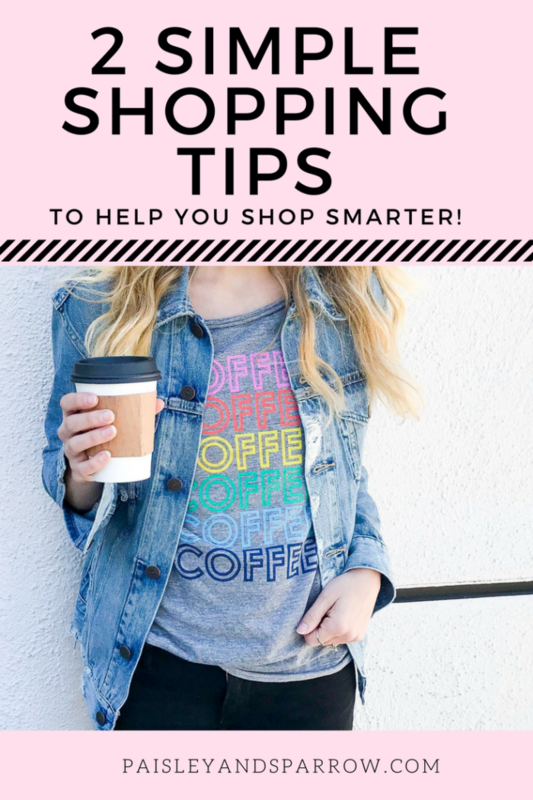 I hope this helps you shop for yourself (ha!) or that beauty lover on your list! Be sure to check out my 11 Useful Things to Buy on Amazon post! I sometimes feel like I must be the only person in the world that can’t stand Oribe – that smell gives me gnarly migraines and the products usually just make my hair feel greasy. I’m glad it works for other people though. That face tension! I feel you – I think a jade roller should definitely be on my list this year! Haha! I think you’re the first person that I’ve heard hates it! Too each their own! 🙂 The jade roller has been a life saver for my face tensions though – seriously! !